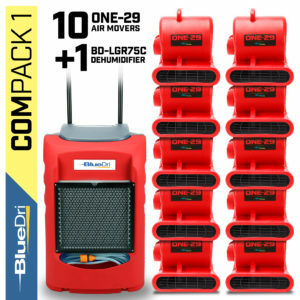 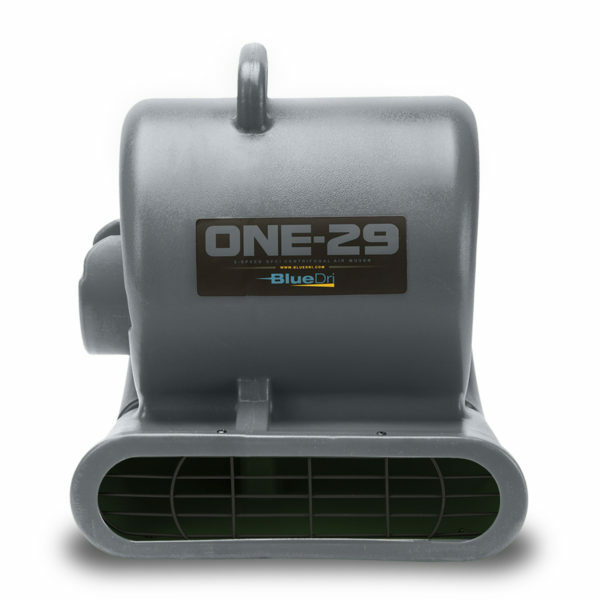 When you need a tough, reliable air mover that can go where you need it to go and do what you need it to do, look no further than the ONE-29 air mover from BlueDri™, available in grey and other colors. 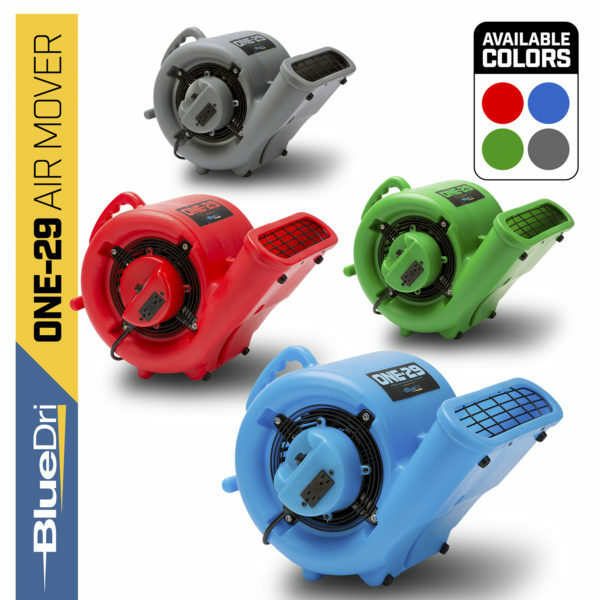 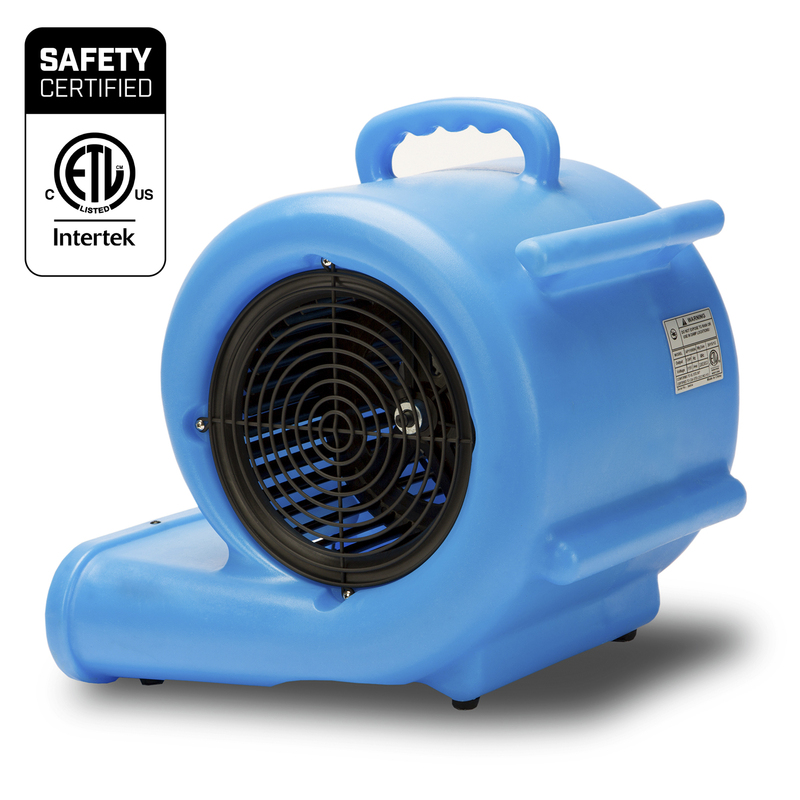 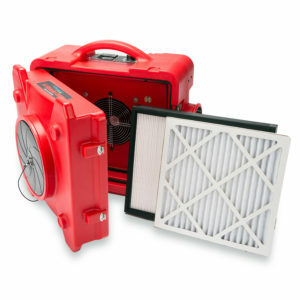 This air mover uses a 1/3 HP motor to run at three different speeds and in three different blowing positions. 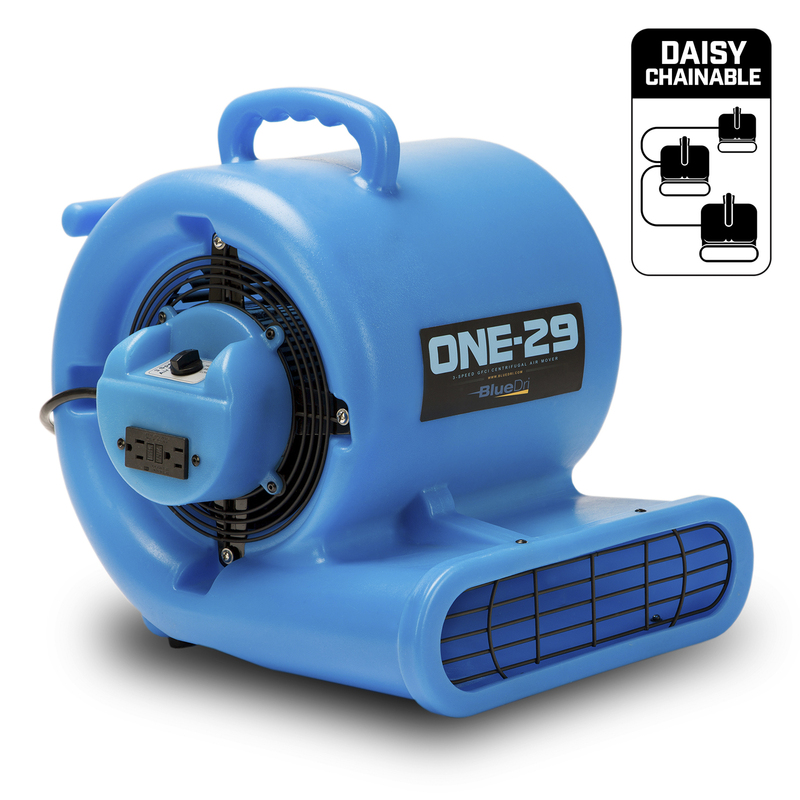 Stack up to three units safely for compact storage, and use daisy chain connectivity to run up to four units at a time.Weighing in at only 26 pounds, the ONE-29 Air Mover is easy to carry and maneuver into hard-to-reach places. 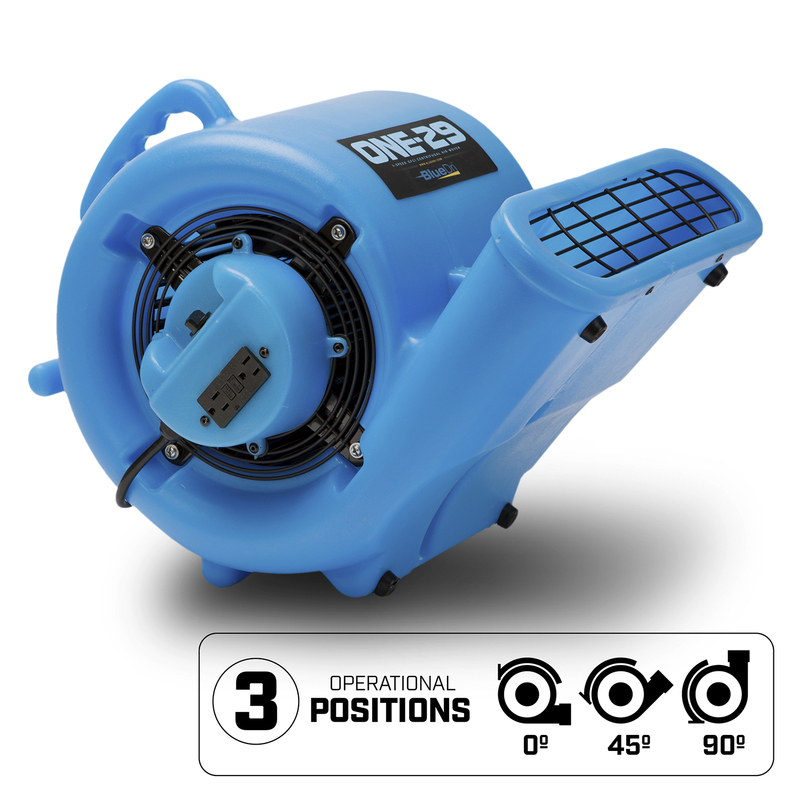 A roto-molded plastic housing protects the motor and makes this product ideal for use in tough commercial and industrial environments. 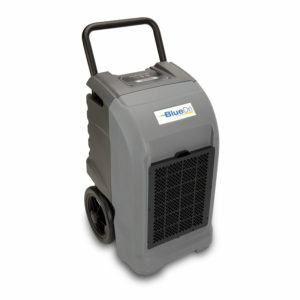 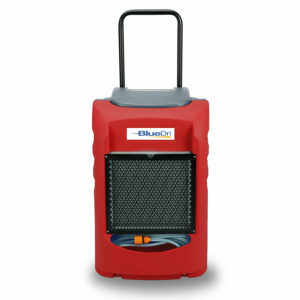 For added convenience, each ONE-29 Air Mover includes a 25-foot power cord and cord wrap. 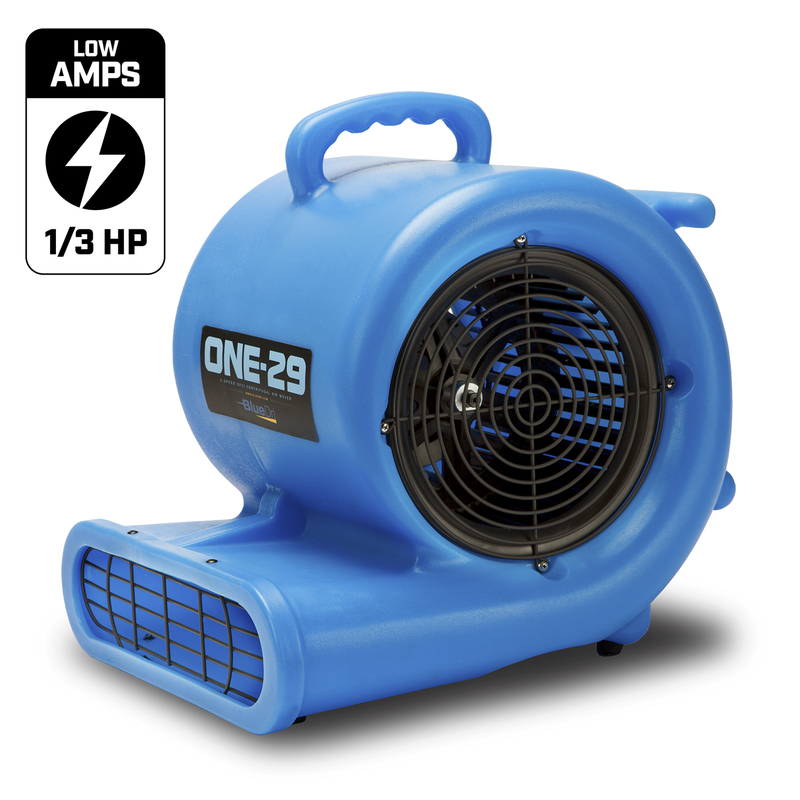 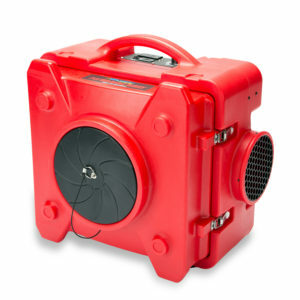 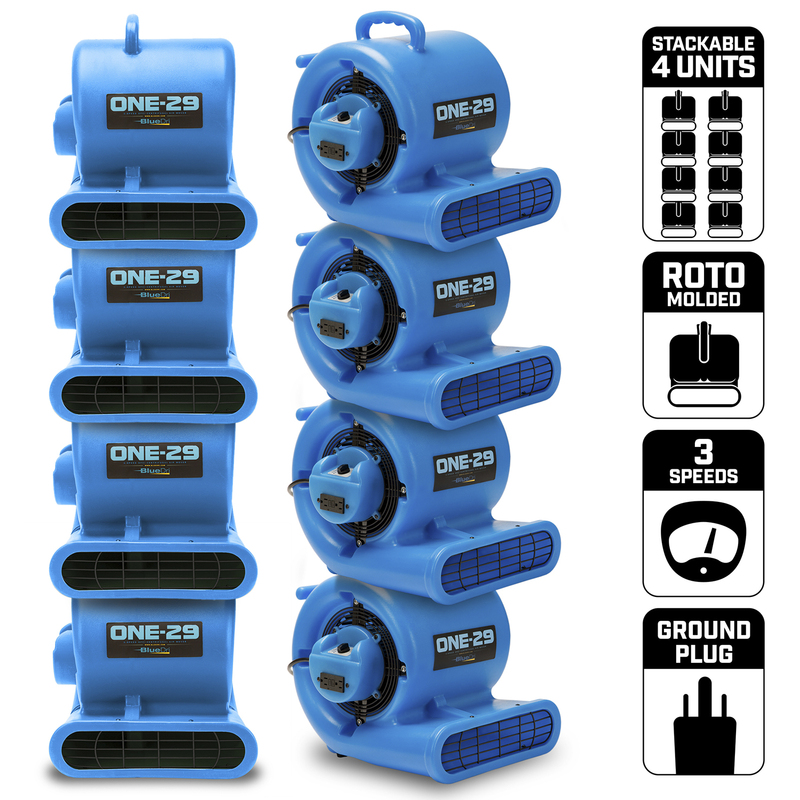 The ONE-29 is a powerful, lightweight, versatile air mover that can help many water damage restoration professionals deliver outstanding results. 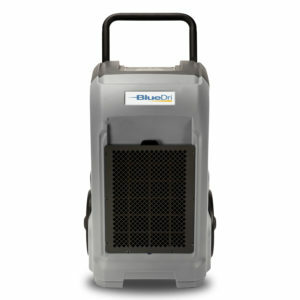 Get yours today and enjoy the high-quality, durable performance of this product.